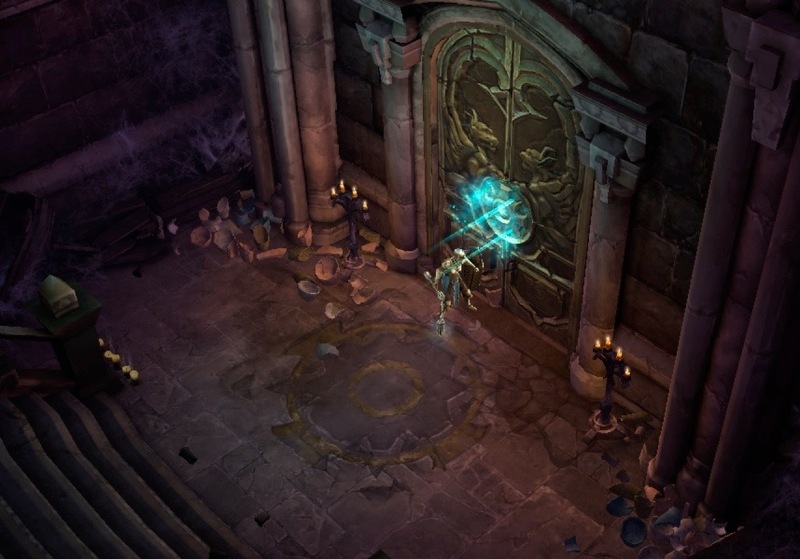 The Diablo III: Reaper of Souls (RoS) beta is now over. Even so, I wanted to continue blogging about my experience in it. We still have some time before the RoS expansion is released. 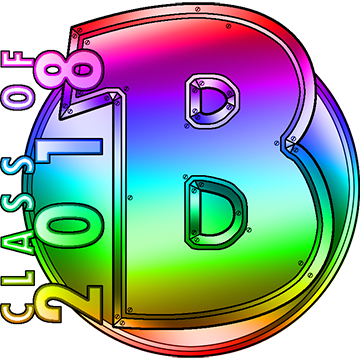 Perhaps something in my blogs about it will interest and/or help someone who wanted to know more about what the beta was like. I was playing a female Crusader named Joan. In the previous blog, I stopped right after Joan hit Level 10. This blog will pick up at that point. 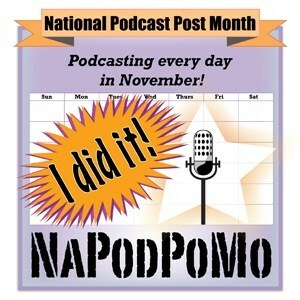 All of the screenshots used in this blog were taken on December 18, 2013. Joan the Crusader hit Level 10 at 3:40 a.m. on December 13, 2013. It took her about 50 minutes or so to go from Level 9 to Level 10. (There was a problem that caused me to have to shut down and restart my computer, and I’ve no idea how long that took.). I was playing Normal difficulty and doing it as a “clearer” (not a “runner”). 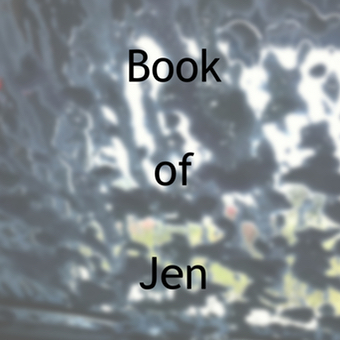 When I left off, Joan was working on the quest called “A Shattered Crown”. At 3:43 am, on December 18, 2013, she found the Chancellor’s Altar. Immediately after you complete that quest, another appears. “Kill Chancellor Eamon”. Completing this quest gives you the damaged crown that you have to take back to Haedrig Eamon, the Blacksmith. It also unlocks the portal. Previous to that point, players had to rely on waypoints in order to move from one area to the other. Ironically, this is the quest Joan the Crusader was on when she found the “bug” that caused her to get stuck in a corner. It would have been extremely helpful to use the portal to get around that problem. Alas, she had yet to find it. (My best guess is that the RoS expansion will not include that particular bug). 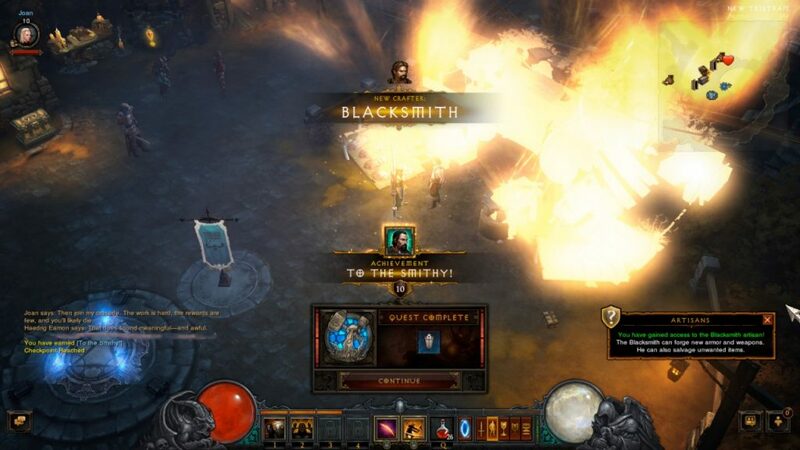 After you kill Chancellor Eamon, you are supposed to use the portal to go back to New Tristram. There is a quest that specifically calls for it. 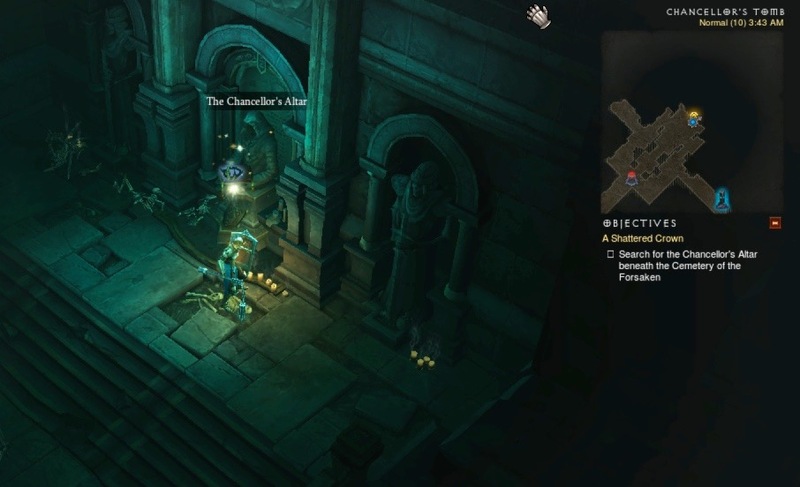 In the original Diablo III, I learned that if you don’t use the portal, and return to New Tristram by some other means (waypoints, walking) you can’t complete that quest. This time, I decided to sell unwanted loot to the barkeep in the Slaughtered Calf Inn. He can repair items, just like any other merchant. 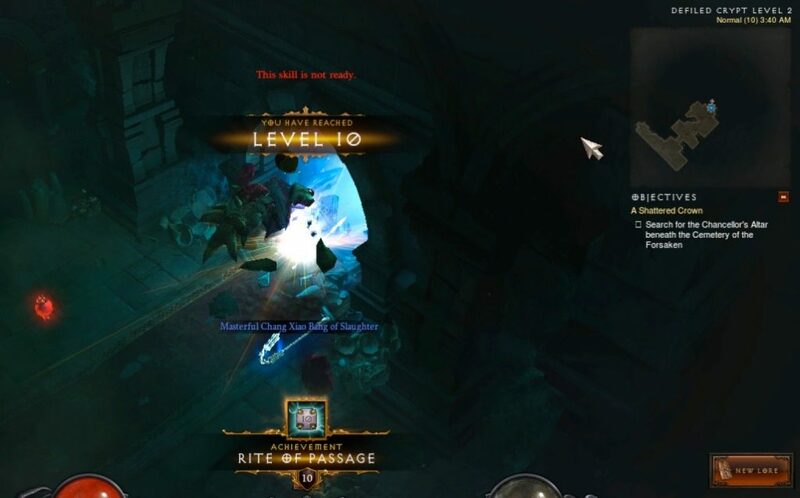 Players cannot have any items repaired until after they hit Level 10. There is a good reason for that. Your items don’t accrue any damage until you have reached Level 10. The first time you repair items, you earn an achievement. Breaking Not So Bad: Use a merchant to repair an item. Next, I decided to take the damaged crown to Haedrig the Blacksmith. He repairs it. At this point in the game, a player would have talked to Haedrig at least once or twice. You cannot get to this point in the game without having helped Haedrig put his poor, afflicted, wife, Mira, out of her misery. (She turned into a Wretched Mother). So, your character already has established some kind of relationship with Haedrig the Blacksmith. They know each other. Even so, you earn an oddly worded achievement shortly after Haedrig finishes his work on the damaged crown. To The Smithy! : Acquire the Blacksmith. The screen becomes so bright that it is almost painful! This is an achievement that you cannot help but notice the second you have earned it. This one has always seemed odd to me. By this point, it feels like your character already knows Haedrig the Blacksmith. The achievement is more about unlocking the Blacksmith’s crafting abilities, though. It is the first time you can begin accessing those. In short, it opens a quest that is not one you have to do. It is an optional quest. 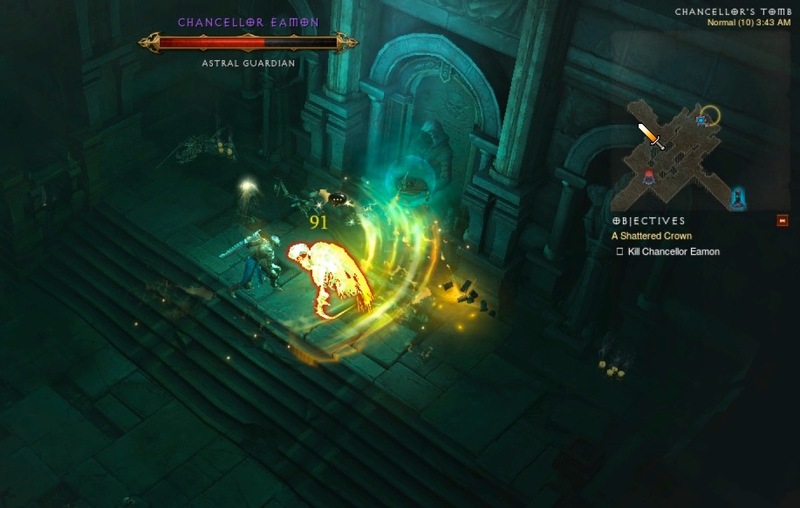 In the original Diablo III, a player will eventually find the body of Haedrig’s “fool apprentice”. Instantly, the area around the body is surrounded by zombies that you must kill. 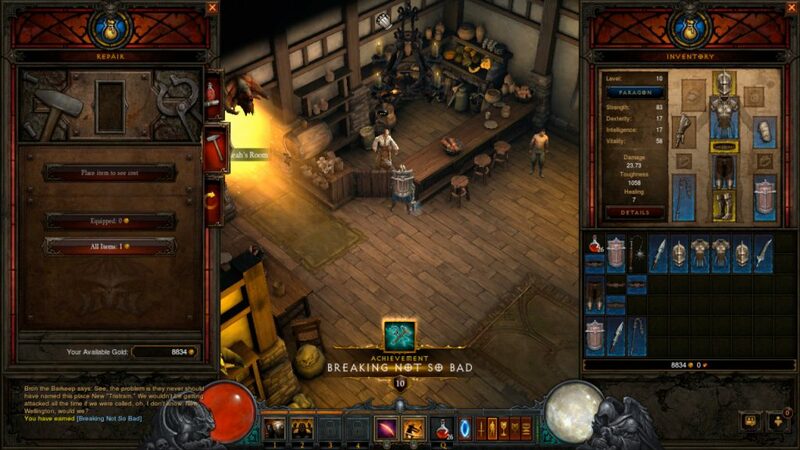 Pick up the loot, go back to New Tristram, and talk to Haedrig. This completes the quest. (He laments the loss of his apprentice with a statement that starts with “Fool boy…”). I did not see this quest in the RoS beta! I’m certain that I cleared the Weeping Hollow (where the apprentice’s body is found). What happened? I’ve got two guesses about that. One, that portion of the quest has been removed from the game. This seems unlikely, since it is both a quest and an event (and because it is part of the dialogue that Haedrig says after a very dramatic quest). Two, I didn’t go back to town immediately after finding the apprentice. Then, I hit the bug that caused me to restart my computer. Could the quest have gotten lost somewhere in the restart? I’m not sure. One of the things I will be looking for in the RoS expansion is Haedrig’s apprentice (and the quest that went with him). By now, it was 3:51 in the morning of December 18, 2013. I was getting tired. So, I left Joan the Crusader in front of the ornate door that (eventually) leads to the Skeleton King. The next blog will pick up from here. Next Flight Rising: Glossy Finish Achievement Fail (Again)!